I can produce high-end precision CNC pearl inlay (and other materials) for your special project. 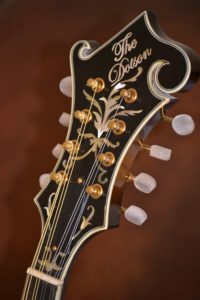 Whether it is your own name cut from material that you inlay yourself or pre installed in a fingerboard or headstock overlay ready for your own in-shop installation. This is a huge time saver and since these are produced on a CNC they look crisp and clean and perfect every time! All I need is a clean, black and white PDF copy of your own inlay creation. There will be a design and setup fee for your first order, but after I have your file on record you are good to go after that. Inlay work is a quick turn-around (usually within 7 days even for a custom set) and prices will vary depending on your individual needs. 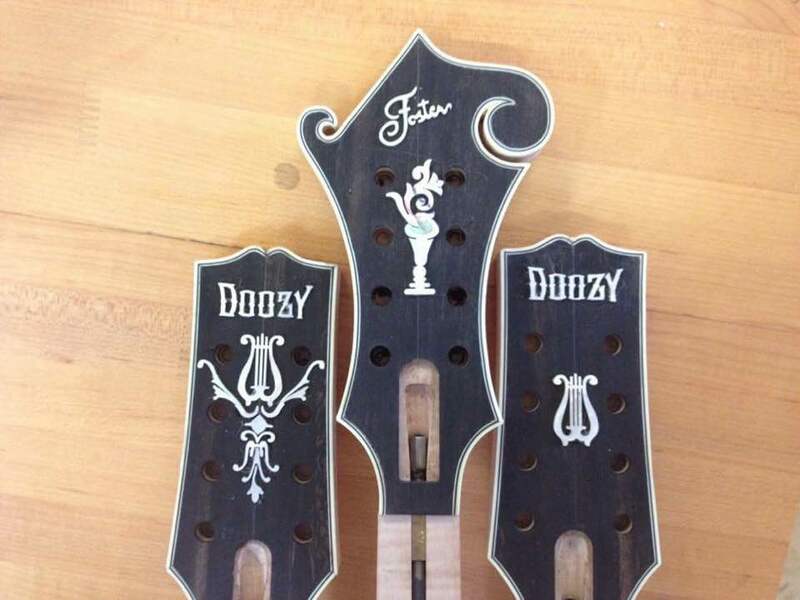 So, from simple dots of any size size you want (not just the size that is available through your usual luthier supply company) in either metric and SAE to the most elaborate tree of life or vine you can dream up, we can provide you with the custom inlay you need for your project.